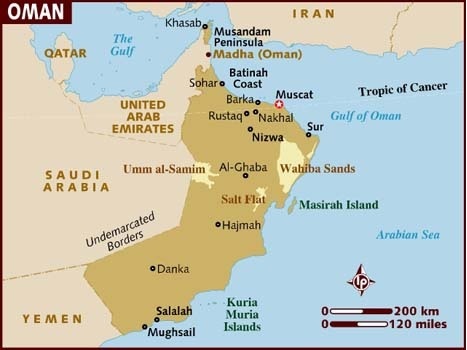 Main Cities: Muscat (capital), Nizwa, Sohar, Salalah, Sur, Buraimi. Density: 10.2 inhabitants per sq. km. Calendar/ Public Holidays: Oman follows the Gregorian calendar. Fridays and Saturdays are official weekly holidays.